Delicious Pasta Salad With Green Salad, Tomatoes And Roasted Chicken. Royalty Free Stok Fotoğraf, Resimler, Görseller Ve Stok Fotoğrafçılık. Image 58617696. Stok Fotoğraf - Delicious pasta salad with green salad, tomatoes and roasted chicken. 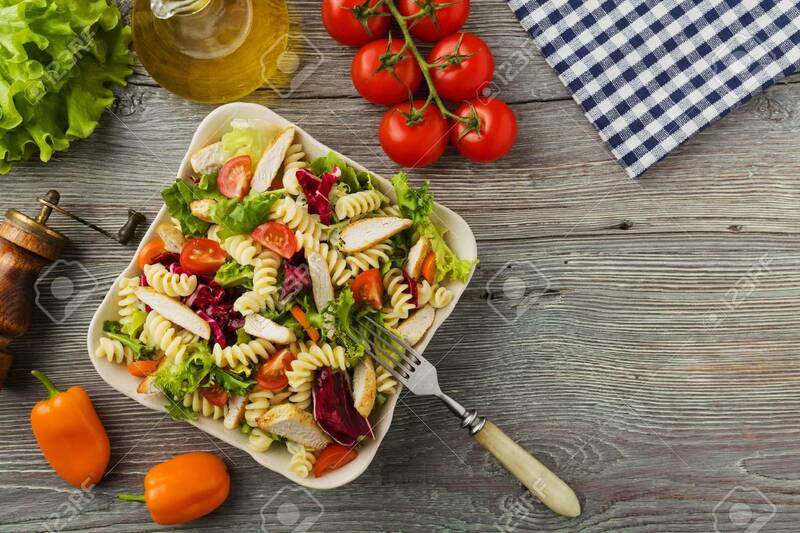 Delicious pasta salad with green salad, tomatoes and roasted chicken.